This is a blissfully simple design suitable for smaller rooms or apartments. 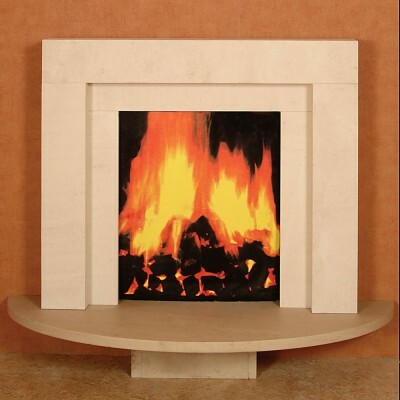 The fireplace on display is made from Limestone and consists of an arched three piece limestone hearth. This fireplace can be made in a range of different colours, marbles and sizes.